I’m sorry guys, I hate to say it, but it’s time to end #BayonettaWeek! Podcast: Miketendo64 Podcast Ep. 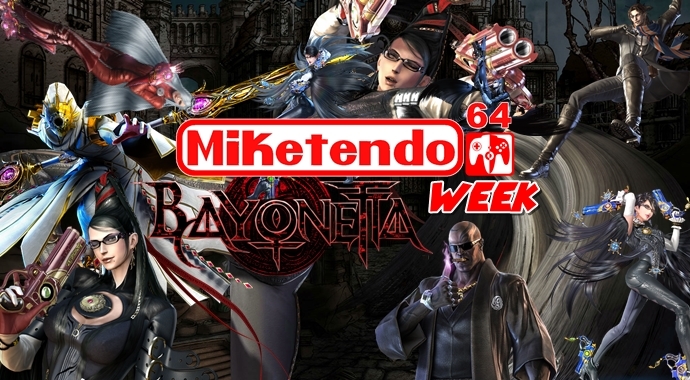 4 Bayonetta Week Special! Random: Bayonetta 2 Comes with a Reference to Bayonetta 3, but you’ll Need a Specific amiibo to See It! Random: Splatoon’s Sheldon has a Big Fan in Bayonetta 2, Can you Guess Who? Feature: How good will Bayonetta’s next port be? As always, a huge thanks goes out to all those who interacted with us, took part in our giveaway and won! We hope you look forwards to our Kirby Week starting on the 12th of March, 2018.